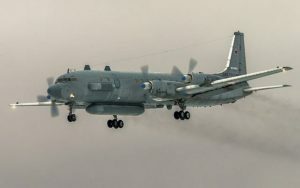 Israel’s Defense Forces (IDF) Sunday refuted the Russian Defense Ministry’s accusation that it was sole responsible for the downing of its spy military aircraft, which was victim of Syrian fire last week. In a statement, the IDF reiterated its claims that Syrian forces are to blame for the destruction of the Russian Il-20 electronic intelligence plane last Monday. The 15 Russian forces aboard the military aircraft died in the incident. “The full, accurate and factual details are known to the Russian military professionals involved in the matter, and from them it is clear that the de-confliction mechanism worked and did so in a timely manner (as it has for the past two and a half years),” the IDF said in a statement late on Sunday following Russian accusations. “The Israeli Air Force does not hide behind any plane, and the Israeli jets were in Israel’s airspace when the Syrians struck the Russian plane,” the military said. The response came after Russia accused Israeli military of deception and lack of professionalism. Russia’s Defense Ministry spokesperson Maj. Gen. Igor Konashenkov at press conference blamed Israel for misleading Russian forces. “We believe that the blame for the tragedy of the Russian Ilyushin aircraft lies entirely with the Israeli Air Force and those who made the decision to carry out such actions,” he said. “During the timeframe covered by the agreements, the Israeli command center received 310 notifications about Russian missions near Israeli territory. During the same time, Israel issued only 25 notifications and did so only just before attacks,” Konashenkov said. An Israel top commandment delegation traveled to Moscow to sympathize with Russian authorities few days after the mishap. President Vladimir Putin in a telephone conversation with Israel Prime Minister Benjamin Netanyahu toned down Russia’s ire indicating that a “chain of tragic accidental circumstances” was responsible for the loss of the plane and its crew”. Israel has conducted several airstrikes on alleged positions of Iran and its proxies in Syria. Israel defense minister Avigdor Liberman on Sunday said the Israeli military will continue its operations in Syria despite the incident which has cooled relations with Russia. “We act with discretion and responsibility,” Liberman said. “Nothing has changed and nothing will change. This is our policy,” Liberman was quoted as saying. Russia has joined the Syrian conflict in 2015 taking the side of the Syrian regime – a move that turned out decisive for President Bashar al-Assad who appears getting the upper hand in the conflict. Written by: KanelkaTagba on September 24, 2018. Last revised by: Jaber Ali, our reviewer, on September 25, 2018. Posted by KanelkaTagba on Sep 24 2018. Filed under Headlines, World News. You can follow any responses to this entry through the RSS 2.0. Both comments and pings are currently closed.